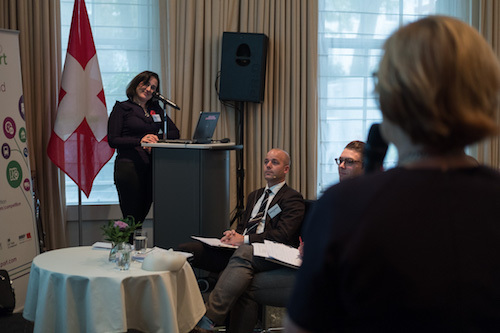 Open to Export recently ran its seventh Export Action Plan competition with the final taking place at the Embassy of Switzerland in London. 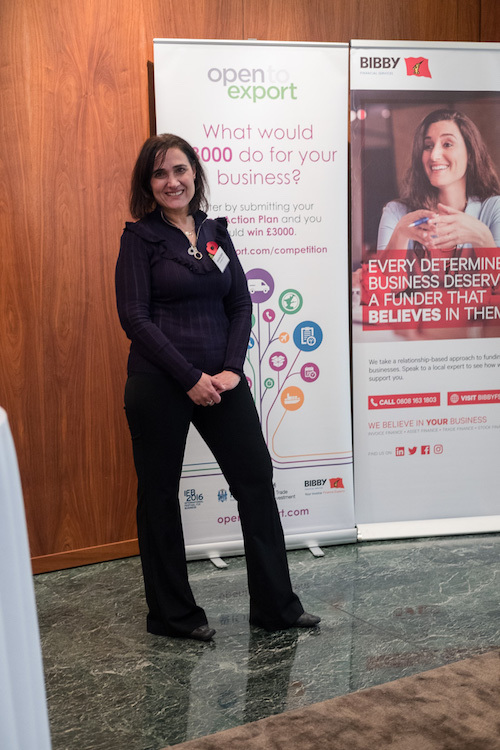 The showcase event saw 9 brilliant UK SMEs – ranging from beetroot ketchups to Harris Tweed dog collars – pitch their export plans to a distinguished panel of judges. As part of our exporter case study series, we meet one of the finalists in Acuregen. Acuregen is a company training professionals in a system of cosmetic facial acupuncture. We do beauty but with needles and a holistic approach to health. I’ve produced a special range of products enabling me and the people I train to operate more efficiently so that acupuncture is more of a treat for their clients, rather than a trauma. Where are you at the moment in terms of exporting? We’ve just completed a successful project in the USA. We’ve been working in the USA for three or four years now, as it’s not an overnight thing. People have flown over here to see me for many years. My first export project was actually in Japan – that was just the teaching. I’ve been in Europe a fair bit, but the potential in the USA is massive – in terms of acupuncture they have considerable buying power. In terms of hoops to jump through – things like the FDA and getting registered to be a formal educator over there – that’s all been done now. It’s now time to monetize it and I have done three or four teaches and gone into a significant profit on my last project in New York which I’ve just come back from. I’m very excited and now looking to consolidate over there. I’ve been invited to Toronto, Vancouver and back to Los Angeles, and I’m now working on getting teams of trainers who can work on my behalf when I’m not there. I’m at an advanced stage in the US but now need to look at the Middle East. From my own experience when they have flown here to train, they love what I do. I have a big following in Brazil too, but the Middle East is where I have the contacts, so I’m looking to do a course in Dubai in February as it’s also a hub for India. How has the Action Plan helped with it all? Really useful! I’d already done things like a SWOT analysis to get a feel for weaknesses and strengths, but it reminded me that what I’m doing really is unique, which is really exciting. To actually put an action plan together has helped me put things into the right boxes, and if people don’t have a template like that then, as my business mentor tells me, it’s a bit like being a captain of a ship without a navigation route planned. It’s something I could look at it every year as a way of reviewing where I am, and I could also look at it from country to country as well. In terms of Brexit, what impact do you anticipate it having? Because I’m already in the journey of exporting outside of Europe – as there isn’t the right traction in Europe for me right now – I don’t see it as an issue for me. I could set up in Europe, to prepare for the barriers that could come up, but is there enough money in Europe for my business? My main reach is outside of Europe, so I haven’t been too concerned about it in terms of my own business. I’m concerned about it in other ways, but not in terms of my company. Brexit would present pricing problems for me with the many European countries who do purchase from me moving forward from their training. This includes Germany, Finland, Greece, Netherlands and Belgium. Poland would be badly affected as they already find me expensive without added import fees.